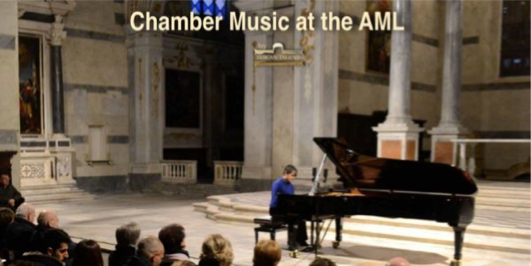 The beautiful Renaissance church of Santa Maria dei Servi was the venue for the final concert in Lucca Music Association’s chamber music season, where on Sunday, 15 March, pianist Pietro De Maria performed for the first time in his career, JS Bach’s Goldberg Variations. This technically demanding work consists of a set of 30 contrapuntal variations, beginning and ending with an aria and is associated by many with the great Canadian pianist, Glenn Gould, whose recording in 1959 launched his career as an international pianist. Del Pietro’s much awaited interpretation of this great Baroque masterpiece did not disappoint and he received rapturous applause and a standing ovation for his sensitive and detailed performance. The concert was a fitting climax to what has been a very successful season, lighting up the dark winter months with its quality and diversity and offering some impressive and often exhilarating performances. The same combination of instruments was used for Piazzolla’s music, except for the piano accordion, which was exchanged for a bandoneon, an instrument which Piazzolla had played from an early age. Although geographically far apart and writing in different eras and time zones, the two composers had much in common. 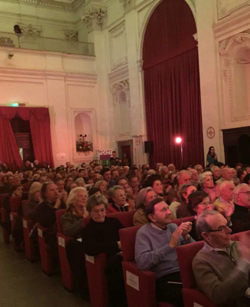 One of my favourite concerts was that given on February 1 to a packed auditorium at the Boccherini Institute and featuring an exciting and colourful mix of Baroque and contemporary music. The programme, entitled Eight Seasons, Four Musicians, Two Composers and One Journey involved interspersing the four violin concertos of Vivaldi’s famous Venetian Baroque work The Four Seasons with Four Seasons of Buenos Aires, written by the twentieth century Argentinian composer, Astor Piazzoll Vivaldi’s ever popular and enduring work, originally written for solo violin and string orchestra was given a refreshing face-lift by Giacomo Scaramuzza in his arrangement for violin, ‘cello, guitar and piano accordion. 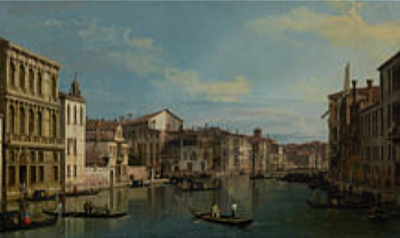 Vivaldi, born in 1678 grew up in a wealthy and culturally rich community, which had seen music and art flourish since the time of the late renaissance. The tiny city of Venice, built on one of the islands in a lagoon at the northern end of the Adriatic had amassed enormous wealth due to its position on the trade route between Europe and the Middle East. The Baroque period (1600 – 1750) was a time for further change and as during the renaissance, Italy was the central driving force in the arts at that time. 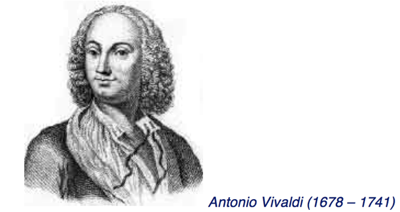 Vivaldi in particular was much admired and influenced and inspired other great Baroque composers like JS Bach. He was a prolific and innovative composer, who wrote more than 500 works and is credited with forging ahead the development of the solo concerto and establishing its 3-movement structure. In fact many of the new Baroque musical structures such as the sonata and concerto began in Italy, and in Cremona, families like the Stradivari and later the Guarneri were producing string instruments of unbridled quality. No wonder Vivaldi wrote so much for the violin. The Four Seasons is a cycle of four concerti inspired by pastoral scenes and depicted also in four sonnets, probably written by the composer himself. He expertly weaves this sophisticated programme music - a revolutionary, although not entirely unknown concept at the time – into a colourful tapestry of sound, transporting the listener into a world of thunder and lightening, bird song, barking dogs, hunting parties, frozen landscapes, a sleeping shepherd boy and many more. Here is a clip from the quartet’s exuberant performance of the Piazzolla’s exciting interpretation of the Spring season. Piazzolla had a very different background. He was born in Argentina in 1921, but grew up in a violent neighbourhood in New York where he soon became street wise. He was however exposed at home to the music of the tango and later, inspired by his music teacher to the works of JS Bach. During his teens he returned to Argentina where he played in tango orchestras and furthered his musical education. Like Vivaldi, Piazzolla was an innovator and experimented with the sensual folk music of his country – the tango, elevating it to a high art form. In his music we find wonderful dissonances, exciting rhythms with abrupt changes in tempo and percussive sounds made by tapping the box of the string instrument with the hand and hitting the strings with the wooden part of the bow. He developed a distinctive sound that combined jazz and the Argentinian tango with classical structures and 20th century harmonies. Although there are differences in form between the two works, – Vivaldi using the 3 - movement structure while Piazzolla settled for one continuous movement, direct quotes from the baroque master can be heard in Piazzolla’s version. When it is summer in Vivaldi’s Venice, it is winter in Piazzolla’s Buenos Aires and we can hear short extracts from Vivaldi’s Summer cleverly woven into Piazzolla’s Winter. 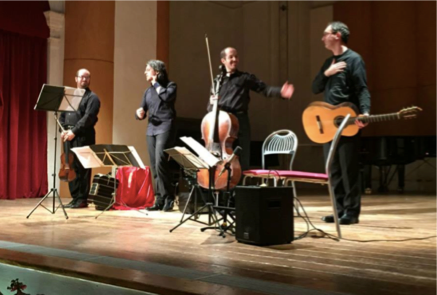 Giampaolo Bandini (guitar), Cesare Chiacchiaretta (accordion and bandoneon), Francesco Cerrato (violin) and Stefano Cerrato (cello) captivated the audience with a performance that stirred the imagination with its virtuosity and wonderful contrasts in sound and expression. Both composers’ slow and more melancholy sections were played with a deep sensitivity, while at other times, the rhythmic electricity and excitement generated by these performers was both intoxicating and exhilarating.